"Many books have been written about Escher's art. None has approached Visions of Symmetry for its scope, scale and sumptuousness." 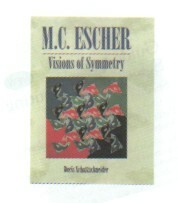 Visions of Symmetry contains Escher's complete set of symmetry drawings, reproduced in full colour, and two Escher notebooks (which contain his theory of symmetry). In all, there are more than 350 intriguing illustrations (about 80 of which were never published before). Escher's own descriptions, translated from the Dutch, offer a glimpse into the creative mind of this renowned graphic artist. 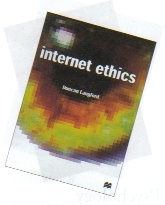 The first-ever book to concentrate on the moral, ethical and legal framework underpinning use of the Internet and World Wide Web, Internet Ethics is essential reading for lawyers, computer scientists and philosophers and will fascinate any Internet user. The international team of contributors were chosen not only for their legal, computer or philosophical expertise, but also for their skill in communicating with the non-specialist. In keeping with the global perspective of the book, each chapter is accompanied by comments from experts from first, second and third world countries. A special Appendix covers the latest on electronic media and the 1998 Data Protection Act.